fcitx is a famous input method framework for Linux. Many languages use fcitx as the input methods backend. In my case, I use Pinyin input methods. 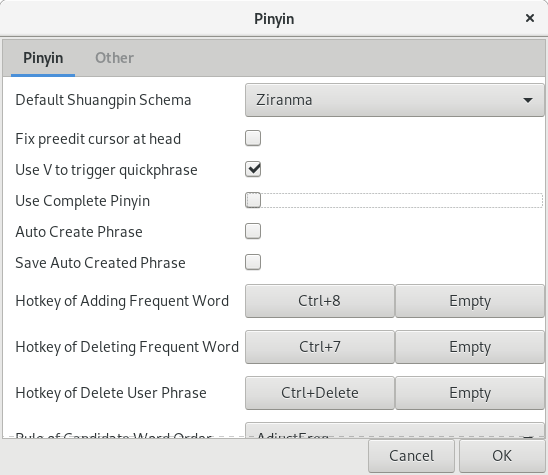 There are three Pinyin input methods installed on my Fedora machine. Today I accidentally changed the configuration of the fcitx, actually a bunch of settings all at once. After that I could not get the correct character candidates if I typed an acronym for a specific phase. I was to post an image of this case. But the screenshot failed to capture it (conflict with fcitx). I intended to type “cf” for “chifan”, but not a single Chinese character came out. I double checked. 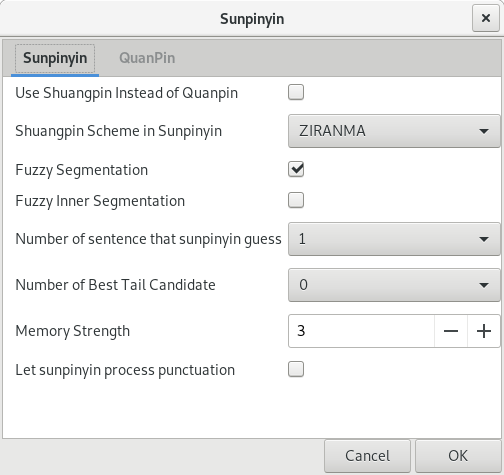 This only happened to Pinyin and LibPinyin, while sunpinyin works normally. After debugging one by one, I identified the cause. Just confirm that you choose “enable incomplete” Pinyin mode. In Pinyin, do not check “Use Complete Pinyin”. 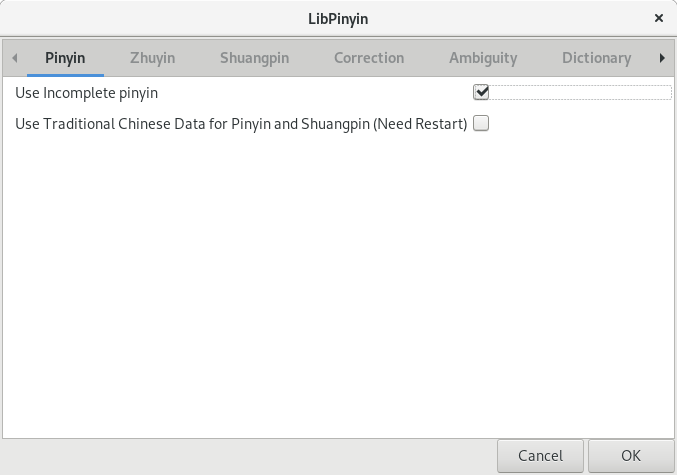 In LibPinyin, do check “Use Incomplete pinyin”.